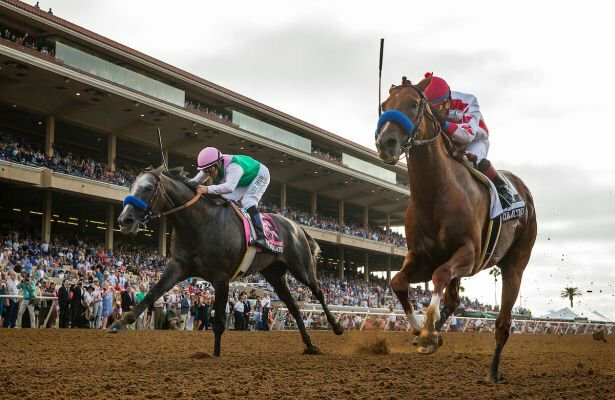 The 2017 Breeders’ Cup takes place at Del Mar racecourse between November 3-4 as the Californian track is set to hold the world championship meeting for the first time in history this year. With many of last season’s stars returning and a host of new challengers stepping up in class, there is so much to look forward to. Here is a look at the best bets for the meeting. The betting for this year’s Breeders’ Cup Classic suggests the 2017 renewal is set to be a match-up between Gun Runner and Arrogate. It is going to be very exciting seeing the two horses take each other on for the first time in their careers. The preference has to be with the defending champion. Arrogate has proven himself as the leading dirt horse in the world over the last 12 months. In his last two runs, the four year old has been far below his best, however, he has been given a much deserved break for a few weeks so we should see return to form at Del Mar where he +300. Take a look at all the sports betting ahead of the Breeders’ Cup which is set to be one of the biggest betting events of the year, with this race in particular the highlight of the meeting. Stellar Wind has had a faultless campaign so far in 2017 with three wins from three starts. The five-year-old-mare, who is a daughter of the great Curlin, has a huge heart therefore often out-battles her rivals inside the closing stages of her race. Stellar Wind’s toughest test of the season will come in the Distaff where Forever Unbridled looks to the best bet in the race. Dallas Stewart’s runner won the Grade One Personal Ensign Stakes recently at Saratoga. She was third in the Distaff in 2016 where she finished under two lengths behind the winner Beholder. This could be her year to take the top prize in the 1800m contest which would bring up her third straight win. You really have to take notice of the European horses which travel over for the Breeders’ Cup Turf as this is a race they have dominated over the last few years. Irish Champion Trainer Aidan O’Brien in particular is a man who targets this meeting for success. The Ballydoyle trainer had the winner last year with Highland Reel and the four year old is good enough to return for a repeat victory. He may not quite have it as easy as 2016 where he was given a soft lead, however, the multiple Grade One winner is versatile and can be ridden a number of ways. The threats will come from Ulysses, Enable and Cracksman, if they all run, however, their main focus could be the Prix de l’Arc de Triomphe at Chantilly or British Champions Day at Ascot just a few weeks earlier.